Some info about who you are and what you do for a living: I’m currently a student at Westminster University studying Film. However I have just finished for summer until September. *Only include your e-mail address if you are sending in a private application. How did you make your primary profession choices? Please explain your talent and glyph choices. For me some fights require Death’s Advance to get around a lot quicker, equally some fights require stuns such as Nazgrim and Galakras (where I have 3 methods of stopping bonecrushers -> Death grip, Gorefiends grasp(as a last resort), and asphyxiate). How do you keep yourself up to date with class changes: I’m constantly reading icy veins and noxxic, whilst also checking the forums occasionally. Do you read up on theorycraft about your class: I do, however as a tank I feel competent enough to figure out my own playstyle as it’s less dependent on numbers – whereas on my warlock I’m constantly checking sim craft etc. Reason(s) for leaving previous guild(s): As our main healer quit raid progression became stagnant and players became restless – resulting in them quitting. As an officer and Raid Leader I left it to the point where Heroic Progression would be next to impossible, and so I find myself here. I’m close friends with Sutera, who is a friend of Celicia I believe. I’m also friends with Saiako who knows Redemption. Have you played other characters as your main in raids before, and if so, what class ? (inc name and Server): In ICC I raided with AIAO on my DK and also with my Balance Druid (Chaosbeast who I have neglected in MoP). All of my alts are on Doomhammer, as it is really the only server I’ve played on. Usual Playtimes: Most days I probably rack up 5 hours which I’m ashamed to write. Why Inevitable: As I have said, I have been on Doomhammer my entire WoW career. Yet I’ve always seen Inevitable as too good for myself, until now. I’ve been in successful guilds mentioned above over the years. I believe your progression on Garrosh Hc may have slowed due to a missing tank so figured I may as well give it a shot for the reasons below. Why should we pick you: My situation is a difficult one and I may come across as elitist when I describe how I feel – however I’d like to think I wasn’t an elitist player. So after I took a break whilst I was in Immortality at the end of Cata, I came back to WoW last November where I dinged 85-90 In the same sitting I first logged on. I then figured I may as well join a guild to help me get back into the swing of clearing end game content. A guild by the name of Continuum took me on as they were just about to begin clearing normal content. Before long I was an officer and raid leader of our progression team and managed to take us from wiping on flex to 2/14 heroic in SoO. However the GM’s attitude changed to the point where I had no choice to leave as I wanted somewhere that had a more mature focused ethos, as opposed to being racist in trade chat. However, once I left the entire raid team (without the GM or his girlfriend) decided to leave with me – so we set up our own guild: Uprising. Here is where we ran into problems with healers to the point where we hit a wall. I would say that we had half a team that had the potential to challenge realm firsts in the next expansion, and half that couldn’t. And sadly, you can’t carry anyone in Hc Progression. Therefore people became restless (including myself – as I could no longer gain anything from farming the same 2-3 bosses on hc and raid leading was becoming a nightmare due to people’s atitudes and incompetence). However, I feel that I’ve really grown as a player and well capable of being part of a 14/14 Hc raid team. I suppose that I’ve outgrown most people I was used to playing with, and if you check my logs you can see that. I think if you guys decide to decline me I’ll have to server change if I want to keep playing as there’s nothing left on Doomhammer for me. Overall, I’m looking for a team of players who are competent and know how to play to the best of their ability, without feeling like I’m carrying anyone (as I’ve been feeling recently). I want to ultimately have fun – by clearing all heroic content Blizzard can throw at me. Is there anyone in Inevitable who can give more details about you? Inevitable have always seemed to be very close-knit so I have never really encountered many of you. Obviously with Doomhammer being deserted I see members around. I use 1-5, F1-5, Ctrl1-5, and Shift1-5. My logs are actually something I’m quite proud of to say I’m stuck in a stagnant realm as opposed to being on Kazzak where you can pug hc. I’m usually top 5% of Blood DK’s globally in terms of Damage Done and Tank HPS where my most noticeable log is 4th Blood DK on Malkorok – which I feel is impressive due to some player’s gear being much higher. Equally I never take above 500k damage total across the whole Sha of Pride fight (blood shield OP). Similair to this you may argue that Tank DPS or HPS isn’t important, but with a blood DK I guess it indicates how well you track Scent of Blood etc. to reach a higher DPS/HPS output, and equally your blood shield is your active mitigation - which is measured by HPS and absorbs. ** DPS applications without an enclosed log will not be considered! Enclosing a log for tanks and healers is strongly suggested, as we also look for several factors besides just DPS/healing numbers. You can make a raw log by typing /combatlog before your raid, this will create a text file in your WoW folder. If you don't know how to upload a log, PM UGenix and you'll be helped out further. 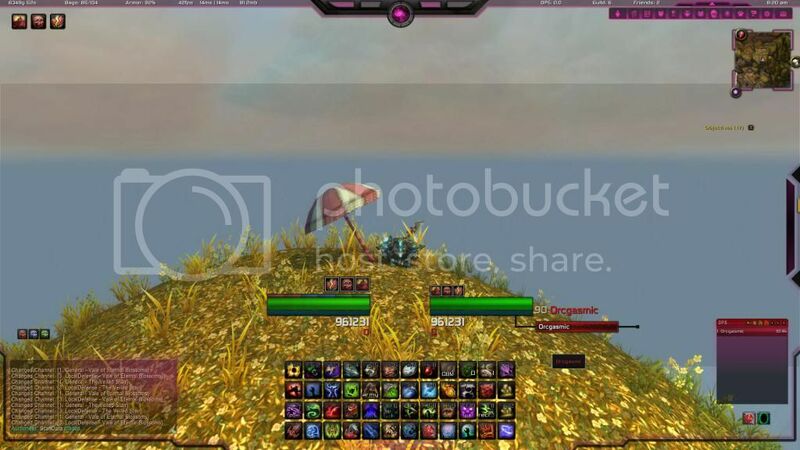 We understand that not everyone is actively raiding, therefore LFR logs are also accepted. I have Mumble, TS3 and Vent all installed. As a previous Raid Leader I even have a backup. Last edited by Orcgasmic on 21 May 2014 12:13, edited 2 times in total. For Malkorok I have the highest HPS from a Blood DK EU which you can find on the same link. However, as I've been in a stagnant guild for a while I feel this is the only way I can at least show you physical evidence of my ability. We've gone through your application, but unfortunately can't offer you a raid spot at this moment. We extend our raids weekly and have our tank setup solidified for Garrosh, so we would not be able to offer you a raid spot.